In an exclusive interview with PakPassion.net, the outgoing Chairman of the Pakistan Cricket Board Najam Sethi spoke about the achievements during his tenure, the current state of Pakistan cricket, the challenges he has faced and those facing the nominated PCB Chairman Ehsan Mani, how Imran Khan can use his influence to help organise cricket on regional terms and shed light on the reasons for his departure. PakPassion.net: How would you summarise your tenure as Chairman PCB? Najam Sethi: I would say that it was a lot of hard work, mixed in with a lot of learning but overall a great experience. But, I do think that I deserve the freedom I have now. PakPassion.net: What do you feel were your greatest achievement as Chairman? Najam Sethi: Obviously, holding the Pakistan Super League stands out as possibly the topmost achievement during my tenure as PCB Chairman. This was an uphill task due to many internally created hurdles by the PCB establishment. It was incredibly difficult to get people to work together and to overcome financial, administrative and organisational issues. Then there was the matter of keeping all the franchises happy and in line with the objectives of the project. This was important, especially when the business model wasn’t entirely clear to them. I had to constantly try and explain things to them which was an uphill task in itself. PakPassion.net: Where do you feel you leave Pakistan cricket now? Najam Sethi: We tried to create a new foundation where certain key points stand out. Number one in that is the introduction of new blood and this was crucial because people would say that there isn’t much talent in the country. The fact is that the talent is there, but it never had an opportunity to blossom and come out. The PSL gave an opportunity for that talent to express itself where the younger players had the chance to rub shoulders with the high and mighty in the dressing rooms and to learn from them, as well as to understand the nature of high-quality competition. So, I think it’s been a wonderful achievement to tap the talent via this avenue. The second big thing is that the modern game requires injection of capital, but the public sector and their bureaucracies are not geared for this and it’s only the private sector that is able to do this. And that is a big innovation we made in the PSL which was to bring in the private sector and to organise and motivate them to put their money where their mouth is. Then there was the task of making it all work and crossing the initial hurdles which were the losses, purely in cash-flow terms. This was a challenge as the fact was that the ‘asset’ was going up in value, but we were not able to realise the benefits in cash-flow terms. Even now as we speak, the franchises are not geared up for marketing and we, PCB, have to do a lot of it for them. What they need to do is to become far more professional in their approach as compared to what they are now. Having said that, I also feel that they have managed to create a brand whose asset value has gone up and in the second round of bidding for rights which should happen in the next 3 months, both the PCB and the franchises should end up making good money. To be clear, whilst the franchises have been in loss, the same is not the case with the PCB. However, now with the values of their businesses up by a factor of 3 to 4 times their original value, they are expected to start making profits. I will add here that it wasn’t that easy explaining to them that their PSL involvement was a 10-year model and that the first three years are going to be tough before the returns come in. But that is now about to happen, and they can see the writing on the wall in that sense and they are obviously mighty pleased, and I just hope, that this trend continues with the arrival of a new management team at the PCB. In the event that the franchises are not able to achieve their goals, there is bound to be a lot of heartache and squabbling and that could ruin the dynamism that the PSL has and that is a huge challenge for the new administration. PakPassion.net: Did your personal rapport with the franchise owners play a crucial role in PSL’s success? Najam Sethi: The fact is that I did not know most of the owners at the onset of the PSL. But I had to work with them to build the bridge between the bureaucracy of a state organisation and the private sector’s dynamism, which was a huge and difficult task. I am not sure how the new management will deal with it but in my case, I came in from the private sector and my professional background is in economics, finance and business although I went into the media later. My original background helped me to understand the private sector’s problems and concerns which is one of the areas that the establishment in the PCB had never encountered before. This was because everybody there was a paid government servant and were not prepared to take risks or initiatives and as I said before, I am not sure how the new administration will fare in this regard. PakPassion.net: Any areas where you feel you didn't achieve your target during your tenure? Najam Sethi: Absolutely so and you will be surprised to note that one of the first things that I wanted to do when I was appointed as Chairman PCB was to try and organise regional cricket along the way its organised all over the world which is also what Imran Khan has been saying all along. I recall that in my first meeting at the PCB I said that we need to do what Imran Khan has been talking about as that is the right way to go forward for Pakistan cricket. We had to have quality regional teams and we must have a system which feeds talents to those teams. This would allow for a fiercely competitive and high-quality environment. But one thing which was standing in the way of this progress were the departments and the way the cricket structure was organised in which these entities were a world unto themselves. Many of the cricketers had jobs with the departments and the regions were lazy in a way as they could not raise money to support themselves and were dependent on PCB’s largesse for their survival. This is exactly the kind of crisis that a strong man like Imran Khan can resolve as he believes in it and the departments will not be able to stand up to him. PakPassion.net: How in your view, can domestic cricket be organised in regional terms? Najam Sethi: What we need to do is to merge the system in a way that we only have regional cricket and that departments should become sponsors of cricket, rather than cricket playing agencies of their own. When that happens, you will get proper fan basis and the regional sub-nationalisms coming into the equation and you will see the stadiums filling up. Who really wants to see a cricket match where one department is playing another department? Such teams have no fan loyalty, so it doesn’t make sense, but we have a situation where the departmental system is strong with many of Pakistan’s top cricketers having played for the departments and are thus unwilling to speak against their alma maters as such. And the reason the departments came into the picture was because the Board was poor and could not pay their players well. This is why the departments came in and thought that this would be good for their image but in the end, they became bureaucratised and also were not getting any real fan following as well as any significant revenues out of it. For the removal of departments from Pakistan cricket, a change in constitution is required which isn’t as easy as it sounds, as I found out when I tried to change it. There was a revolt against me and people even went to parliament to stop me from changing the cricket structure which was producing some top stars for the country. What people were forgetting was that those were the days of Test cricket where placid pitches were the norm. But, now life is changing, and cricket is being played at a faster pace and our structure wasn’t geared for that. It was indeed a terrible time for me as I could not even persuade my own Board on this issue as the PCB itself had a representation of four departments and they suddenly saw their existence under threat and put up a huge resistance. I believe that Imran Khan should take on this challenge and revamp the domestic structure. PakPassion.net: Your response to a report that accused you of phone tapping of PCB officials? Najam Sethi: What can I say about this type of report? The facts are that there was a lot of leaking of PCB’s internal affairs due to rivalries inside the establishment and information, which was false was being given out to undermine each other. I sent out a note saying, please do not do this and if we find out who is leaking information which is damaging PCB, then we will take action against those persons. It looks to me that those who were indulging in such activities spread this lie about phones being tapped. Do you think I have control over such matters by using ISI or having access to phone tapping equipment? What this points to is a tragedy which is that the PCB has been beset with internal rivalries and corruption. This has eroded the organisation and I have had to fend off such lies and propaganda which has been originating from within the organisation. PakPassion.net: What's was the toughest and most frustrating aspect of being Chairman PCB? Najam Sethi: Sometimes we were in the middle of a complex negotiation and before we could conclude this negotiation, people would leak sensitive information about this in a distorted manner. That was extremely frustrating as it could hurt us as we were still in the process of discussing the matters internally. But, then I realised what was happening. There was a clique within PCB who had good relations with the media and the media provided support and protection for them in return for information. In this way, the interest of the organisation was blackmailed by the media in many ways and I believe that was wrong and should not be allowed as it hurts the PCB. But that’s what vested interests in PCB are all about. This is why I always made myself available to the media so that I could explain things in a clear manner and sometimes I would say, look this is background material so please don’t use it as it will hurt our interests but I did understand the need for information and we would let you know when we came to a conclusion on that matter. I suppose this is how the world works and we should do the same. It is probable that these leaks were coming from lower level staff who had axes to grind against the PCB due to possibly not getting an increment to their salary or were simply unhappy and so off they went leaking information to the media which was terrible. PakPassion.net: What happens now with your role in the PSL? 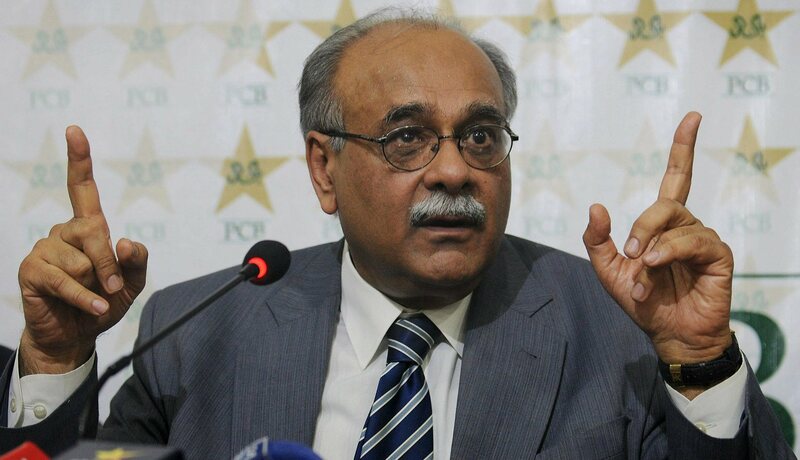 Najam Sethi: I have no further role with the PSL after my resignation as Chairman of the PCB. Let me clarify that and say that PSL is simply a department of the PCB in the same way, you have international and domestic cricket and the NCA etc. So, you have a director of each department and the PSL is just another department. There was a move earlier to make PSL a separate entity by making it into a separate company but that ran into trouble as separate companies require a majority of independent directors and the PCB did not agree. Also, there was a huge hue and cry by certain elements of the media who thought that I wanted to set up a separate company so that it would be taken away from the PCB as a cash-cow. I then said, let's forget the idea and let it be part of the PCB. Previously, I was not the Chairman of the PCB and that position was held by Shahryar Khan and he was a traditionalist who did not believe that Twenty20 or PSL was anything significant and he thought that it wouldn’t work. He basically said, that he wanted to do nothing with it and that he wanted to focus on the main areas for the PCB. He asked me to take charge of the PSL and set up a committee to run the tournament. That is the only reason why I became the Chairman of the PSL which basically meant that I was the Chairman of a committee that was running the tournament, and that pretty much was it. PakPassion.net: What should be the priorities for Ehsan Mani? Najam Sethi: I think the priorities for the next Chairman and his team are simply to review all the projects that we have initiated in our time and to see them to completion. If that is not done, then there will be a price to be paid for that as that would have the PSL hanging in the balance and also jeopardise the bringing back of international cricket to Pakistan. Any other initiatives that we started should also be taken to their logical conclusion to benefit Pakistan cricket. PakPassion.net: Should a change be made in the PCB constitution to allow less interference from the ruling party? Najam Sethi: Pressure from the ruling party should not matter when it comes to the appointment of a Chairman as the constitution is very clear on this matter. The constitution states that there is a Board of Governors which is an independent body comprised of ten people. Eight of these, in theory, have nothing to do with the government and the Patron can only nominate two members to the ten-man board. Now, four members of the board are elected presidents of the regions and four others are departmental presidents. None of these are under anyone’s influence and are appointed as per rotation policy amongst all regions and departments. Only two members of the BoG are appointed by the Patron of Pakistan cricket and in theory, any of the 10 members can become Chairman. To remove a Chairman, there needs to be a vote of no-confidence against the current Chairman or alternatively, the Patron can remove the whole board but only if there is irrefutable evidence of grave financial mishandling of affairs. So yes, the Patron can create difficulties for the functioning of the board in many ways, but he cannot interfere and get rid of people like this. PakPassion.net: So, in theory you had no reason to leave the PCB just because there had been a change in the government? Najam Sethi: Realistically speaking, if the Patron of Pakistan cricket does not like the Chairman then there is a problem as he represents a powerful state institution and the fact is that the PCB cannot function when the government is against it. Even though I had two more years to go before the end of my term and technically the Patron could not remove me without removing the whole board, I decided to step aside for two reasons. The first point being that if the Patron does not want me, there is no point hanging around as it will hurt and destroy the PCB and you don’t want to do that. The second point is that this is a Patron who has a vision for Pakistan cricket and one who is a legend in his own right and whether one agrees or not, he must be given an opportunity to take charge. He is a very special Patron of the PCB and there is a lot of public support for his views and knowledge. So, there was no issue about stepping aside from my point of view, but the question was when to do that. Therefore, one had to wait until he was actually sworn in as the Prime Minister of Pakistan and the Patron of the PCB. I could not have offered my resignation in a vacuum. If I had announced my intention to leave 10-15 days ago, I would have lost all authority inside the board at a time when we were in the middle of many important issues. This would have not resulted in a smooth transfer of power. I was always clear in my mind that I should go if Imran Khan becomes Prime Minister. If my relations with Imran Khan would have been good politically and we had been on the same page, then this might not have come to pass but the fact, one that we cannot deny, is that we do not see eye-to-eye politically. PakPassion.net: So, what does the future hold for Najam Sethi? Najam Sethi: I have always had strong political views, and I was originally a member of the media where I run a newspaper, and I will now go back to the electronic media and see how it goes from there. Last edited by MenInG; 26th August 2018 at 15:10. If only Imran Khan could of put his personal issues and vendettas aside and allow this great man to carry on and take PCB to new heights and cricket Pakistan to new heights. 5 years is a long time to be PCB Chairman and to be involved in the senior leadership. I think in a way Sethi was glad to be out of there as it is an unforgiving and high stress job and with IK becoming PM, it gave him a way out. Now it remains to be seen whether Mani will have the same stomach for a fight and risk taking penchant as his predecessor or will he be another brown noser who will just bow down at the first sign of adversity. Excellent interview. Sethi handled this whole situation with a lot of class and dignity, much to the disappointment of the majority of the PPers. They were hoping and expecting Sethi to throw a tantrum and try hard to keep his job, engaging in mud-slinging and what not, but his attitude has left a sour taste in their mouths, which is why the usual suspects are avoiding this thread. As I said earlier, Sethi has come out of this whole business as the bigger man. Imran made false accusations against him because of which PTI had to apologize on his behalf, because his ego was too big for him to say sorry himself. He was doing a very good job but Imran made it personal. He showed his petty side and replaced with a yesterday's man - a sedate dinosaur who has held ceremonial posts in cricket without achieving anything. Sethi is a man of action who knew how to get things done and has a lot of clout and good PR. Ultimately it is PCB's loss, not Sethi. The principles of India’s CoA apply here. Sethi had five years. That’s enough - there should be new administration after such a long time. I don’t agree with Sethi on much but he’s right in saying departments should sponsor regional teams instead of having their own teams.I’ve wanted that to happen too. Interesting that Shahryar Khan was against the idea of the PSL. Seems that there was plenty of internal politics in the PCB corridors during Sethi's reign. Won't be an easy task to maintain the momentum for Mani. Happy that we got rid of this corrupt person. At least Mani won't be spending pcb's money on personal holidays. A corrupt but competent person is better than an honest but incompetent person. There is no point in being honest when you are not cut for the job. In the long-term, that will hurt PCB and Pakistan cricket more. I don’t want to call Mani incompetent, but I am not sure if he has achieved anything substantial during his years in cricket administration. On the contrary, Sethi achieved a lot in a short time period and made things happen. Yes he was not perfect and he neglected certain areas, but he prioritized PSL and international cricket in Pakistan, and he did well on those fronts. Shahryar Khan was honest and clean, but what good did he do as Chairman? Unlike Sethi, he couldn’t get anything done. What good was his honesty. I see little difference in someone like Shahryar and Mani. I highly doubt if they have the required motivation and will bring in energy and fresh ideas to the table. Mani seems like Shahryar Khan part II to me. Competency should be a bigger criteria for appointment than honesty, because honesty won’t take you anywhere if you are not capable of making things happen. People have an axe to grind against Sethi so they will pinpoint things that he didn’t achieve in his term, but he achieved more than any PCB Chairman in a long time. I hope my perception of Mani is wrong and he is more of a Sethi than a Shahryar, but I see little more than a well-groomed 70 year old accountant who has held ceremonial positions in cricket without making his presence felt or coming up with something new. Can he make things happen like Sethi and that too in a short period of time? I don’t think so. If not Sethi, I would have preferred a left-field, fresh appointment who would be hungry to prove himself and will not be afraid of making bold decisions. It appears that the PM select wanted a yes man with clean shoes and he got what he wanted. Now let’s see how long it takes for him to fix the domestic pitches and balls that gave stomach bugs to PPers and due to which they wanted to chop off Sethi’s head. The only thread where Mamoon is posting with full heart.lolz btw Najam Sethi was great as an administrator. PCB is going to miss Sethi's cunning shrewd negoitation skills. That is an art that not many Admins in Pakistan know. Unfortunate but hopefully the new management can continue from where he left off. Pakistan cricket should not change vision after every 5 years. This is a very mature interview. I would have liked to hear more of Sethis thinking about relations with India. He rightfully deserves credit for the PSL. And I think his views about departmental cricket are very lucid. I have low hopes from Mani: because much like his boss (imran) his big deliverable seems to be resumption of cricket with India. Another fact I like about Sethi is that he realized that the world has changed and you needed to invent and apply new methods to stay competitive. I fear the new admin is under the impression that the formula that worked 25 years ago will work again. A very good and mature interview. Talked about a lot of technical things. He has always talked very sensibly as the PCB's head. I hate for all the politics to get involved in every sector. I don't listen to his political analyses much and have no interest in it. But this guy was a good administrator. Basically, when there is a change of power, there is change of heads of every single institution in Pakistan which is a shame. The heads of every sector should be elected independently and on merit, rather than getting chosen by the incoming government. This has been hurting Pakistan for as long as i can remember. Just want to see the audit of all three PSl session publish to see the honesty of najam sethi and Psl management .their seems to be some serious allegation against him. That is how it works. Corruption is an issue but is not the biggest issue. The biggest issue is people getting jobs that they are not capable of delivering. Of course, there is nothing better than having a competent and honest men at the helm, but if that is not available, you have to go for a compromise. The point is that honesty should not be the only criteria for selection, and (alleged) corruption should not be the only criteria for non-selection. IK didnt ask him to leave, but he knew his position was untenable once IK came into power. Im not a fan of Sethi as a man or his politics, but you can't argue that he had an exceptionally successful reign, based the huge improvement of the PCB's international reputation and PK cricket move out of the doldrums. Its a pity Sethi and Imran cant put their personal animosity and petty grudges aside for the betterment of the country. Former Pakistan Cricket Board (PCB) Chairman Najam Sethi has brushed aside allegations about phone tapping of board officials during his tenure as board’s chief. Speaking in an interview, Sethi said that the board has been affected by internal rivalries and corruption and people who are spreading such lies are not sincere with the organisation. Sethi — who resigned as PCB chairman soon after Prime Minister Imran Khan’s oath-taking ceremony — also said that the PCB cannot function if the government is not on its side which is why he vacated his position. The 70-year-old also considers Pakistan Super League (PSL) his greatest achievement during his reign as chairman PCB. “Holding the Pakistan Super League stands out as possibly the topmost achievement during my tenure as PCB Chairman,” he said. Sethi also said that he supports PM Imran’s ideas about revamping domestic cricket with more emphasis on regional cricket but it was unfortunate that he was not able to bring this task to a fruitful conclusion during his tenure. Sethi also shed light on the complexities involved in changing the current domestic structure but he expected Imran Khan to take on this challenge. Sethi also had a word of advice regarding the priorities for PM Imran’s nomination for next PCB chairman and former ICC President Ehsan Mani. “I think the priorities for the next Chairman and his team are simply to review all the projects that we have initiated in our time and to see them to completion. If that is not done, then there will be a price to be paid for that as that would have the PSL hanging in the balance and also jeopardise the bringing back of international cricket to Pakistan. Any other initiatives that we started should also be taken to their logical conclusion to benefit Pakistan cricket,” he said. No that is not how it works. Criminals are not given positions of authority because "they mean well". Please provide proof that Sethi is a criminal. Please read your own post where you were justifying appointment of corrupt people if they are competent. Don't try and change the subject. I did not accuse him of being a criminal anywhere. I am not changing the subject; I stand by what I said. Firstly, there is no proof that Sethi is corrupt. In fact, his name has been cleared by NAB. Secondly, yes I do stand by the notion that an honest but incompetent person is going to cause more damage in the long-term than a corrupt but competent person. I wonder why @Mamoon voted for an honest but incompetent person then. Because the proof ultimately lies in the pudding. Imran deserves the chance to prove his competency. Whether he is competent or incompetent is something only time will tell. So a let's say a guy is corrupt and should be behind bars, but according to Dr mamoon he should'nt be in prison rather given a high stature job because he is competent. Specifically to this thread, I don’t think Sethi is corrupt. Maybe street smart, but not corrupt. The only thing that will come out about his tenure will be that he went beyond organizational protocol to hire people and the usual cribbing anout why he travelled business class. He is now continuing his crusade against Imran in political areas. He is doing his journalistic job. IK never stopped taking digs at him in public for the last 5 years and did not even have the courtesy to answer his concilliatory calls, respond to his request for a meeting so hence see no reason for Sethi to do any favors for him. Would you take calls from someone who allegedly records them for blackmailin purposes? Imran did good! Does Imran Khan have some dark secrets which can be used for black mailing? If i don't have any secrets, i wouldn't give a damn as to whether someone was taping my conversation or not. An honest man has nothing to fear from the truth. LOL like you had a choice. In 5 years what did you actally do for domestic cricket? PSL is a success formula due to the huge fan base. And spending millions to bring cricket back is not long term thinking. When is the next tour to PAK? Bro, look at what happeend to the Sri Lankan premier league or South african global destintion something something league. PSL is no small feat, and the fact that it has had 3 seasons and would soon be having 4th is a big achievement. The guy even boosted the reputation of the league by even banning local players who didn't even report approaches by bookies. Also read the interview, he has explained well the problem regarding domestic cricket when it comes to department and region. Sharyar Khan lost his mind in his last tenure, he is the true example of someone who got too old to work for any organization. He was the same guy who once thought that Shan Masood could become captain just because he spoke good english. Hail, hail. PSL was no small feat and Najam will be remembered for changing the face of Pakistani cricket. The best chairman we have ever had! I am afraid this Mani guy will lead us to losing our strong case against BCCI over the prospect of "improving ties". BCCI will definitely dangle the carrot for bait and a smart guy would think thousand times before trusting a treacherous back stabbing board like BCCI. No, not because of English. YOu have to understand that Shehryar comes from a diplomatic background. Their everyday dealing is with mannerly folks. The Pakistan Cricket circuit is filled with buffoons. Their arn't that many educated ones playing, thus whenever Shehryar met an educated person in the domestic circuit, he would think about making him a future captain. Shehryar had a liking for guys like Misbah, Azhar Ali and SHan Masood. He was indeed instrumental in making the PSL dream to become a reality and he should be credited for that however other than that there is hardly anything he did in his 5 years tenure in pcb. I don't think we've seen the last of Sethi and his involvement in Pakistan cricket. Are you referring to the PSL audit? What sort of legacy has Mr. Sethi left in his wake? He finished what Shaharyar Khan started. Plus Pakistani masses including members on this forum were baying for BCCI's blood despite being repeatedly told that MOUs are not binding. So why is he being singled out? That's a Shandar chowka of a post! His handling of the MoU and then deciding to take BCCI to court for not honouring it, along with how he prematurely made claims about Sharjeel despite the lack of evidence, overshadows his accomplishments with the PSL and bringing some cricket (albeit weaker sides) to Pakistan. Unfortunately, Sharjeel Khan remains banned in the absence of any evidence whatsoever, simply because the PCB felt obliged to back up Sethi’s wild claims of his guilt. A real cricketer is banned because an incompetent and self-publicising administrator wanted to make wild claims. Well, i am afraid, not for Pakistan sadly..